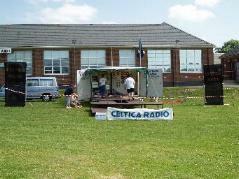 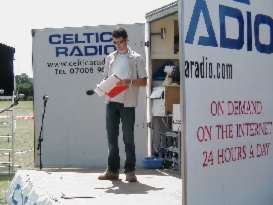 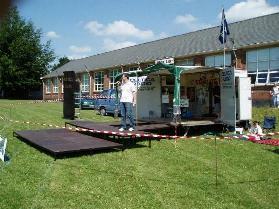 Celtica Radio outside broadcast facility overlooking the main field at Brynteg, Bridgend. 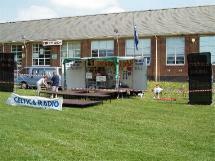 A high vantage point for us to broadcast from! 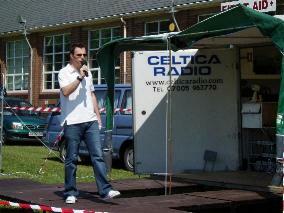 Mr. Lee Thomas of BridgeFm opening the event on the Celtica Radio stage. 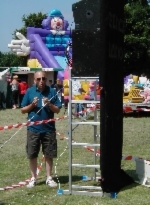 Our own Jordan Thomas checks the production notes for the event. 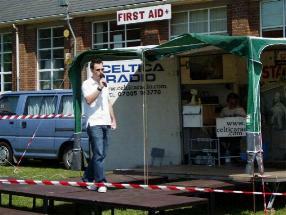 The live dancing group on the Celtica Stage, performing their routine in front of the crowd.